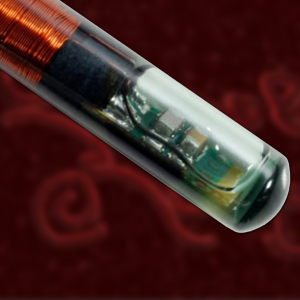 Due to the recent boom in school shootings many educational facilities across the nation have required that parents have their children implanted with RFID chips before being allowed to attend class. 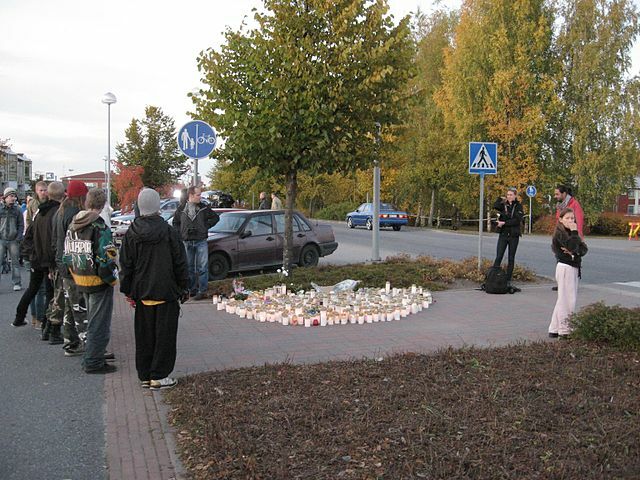 “Implantation of these devices will reduce deaths in the event of serious emergencies. Not only does it allow us to locate the whereabouts of all students, but they are also able to synch up with the student’s smartphone devices so that witnesses may immediately inform other students and most importantly, the authorities. 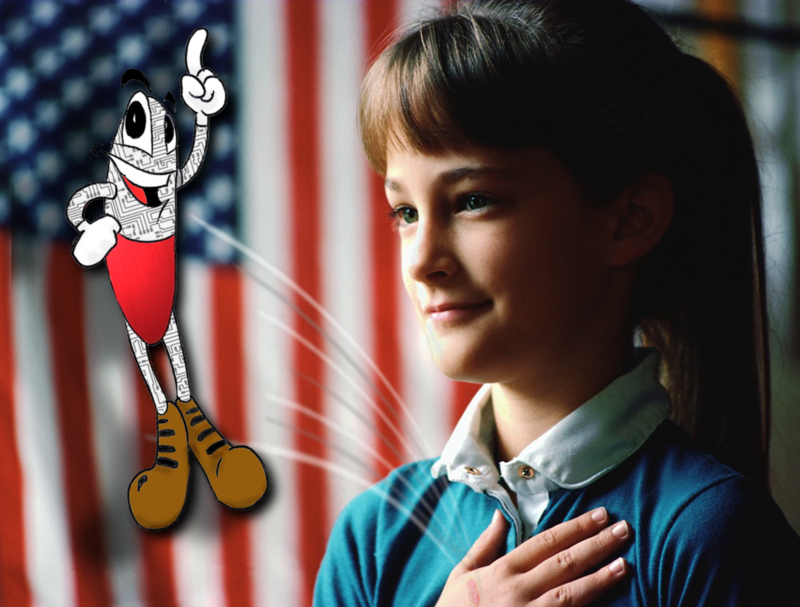 Due to recent controversy over Chippie The RFID’s nationwide school tour, Chippie and his legal representatives held a press conference to clear the air in regards to a number of distasteful allegations that have recently been thrown at the popular RFID mascot. Chippie is currently halfway into a tour which has seem some heated opposition in certain states. On the 11th of November, upon arriving to their scheduled appearance at Tartarus Middle School in Olympian Village, MO, Chippie and company were faced with throngs of enraged and confrontational protesters surrounding the school. Despite the presence of such hostile resistance, everyone managed to make it into the school to carry on with the much anticipated presentation. (Big Horn, WY) – Inside a dimly lit gymnasium hundreds of parents, students and teachers are all seated and looking toward the stage in hushed anticipation. Thick velvety drapes obscure the magic that is about to take place. The magic so many in this community have pined for and are now waiting on the edge of their seats to behold. Suddenly a jingle can be heard coming from the school’s PA. Quiet at first, the sound starts to level out and an upbeat tune commences to fill the massive room. The children’s excitement is palpable but they continue to remain silent, eyes forward, not wanting to miss a second of the show once it begins. The theme song drops its tempo and the curtains slowly begin to open. Gasps can be heard from the audience as they bear witness to the 7 foot tall, cylindrical character standing center stage. He starts to sing in a comically high-pitched voice and that’s when absolute bedlam breaks out. Some children are jumping up and down, screaming wildly. Others clap their hands, smiling and singing along, already knowing the song that is now barely audible above the shrieks and squeals of several hundred overjoyed kids. 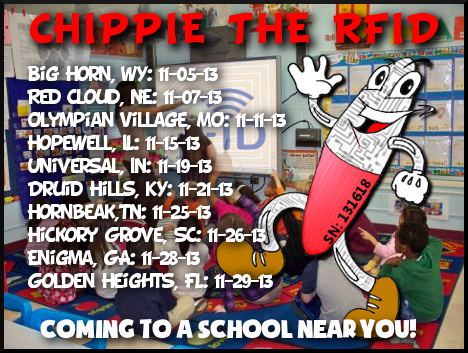 Chippie The RFID Coming Soon To A School Near You! (USA) – In an effort to separate myth from truth regarding the federally mandated Obamacare RFID chip implantation program, a public awareness campaign has been launched to tour in a number of public schools across our nation. The operation features a jovial animated mascot, a cartoon RFID chip named “Chippie”. They use the character to demonstrate to their young audience the benefits of having the RFID implanted under your skin. After a whimsical 30 minute cartoon following Chippie during one of his many adventures, there is a puppet show where children are encouraged to ask Chippie any questions they may have relating to the RFID chip or the implantation process. Each child leaves the exhibition with a “Chippie” stuffed doll, coloring book and several informative pamphlets for their parents to read that may assuage any lingering fears to their children receiving the device. A CDC whistleblower has recently gone on record to expose nefarious government plans which would use the impending US Ebola pandemic as an opportunity to implant RFID technology in American citizens. Brent Hopskins was a CDC contractor before coming forward with serious allegations against his former employer. Hopskins claims that an Ebola vaccine has been prepared for the general public in the form of disposable, one-use syringes. The downside, however, is that each of these syringes will contain not only the vaccine, but a micro RFID chip as well. CDC officials intend to issue these syringe packages to over 200, 000 households by December 1st. Consumers will also be able to request the Ebola vaccine at their local drug store. Hopskins also indicates that the RFID chip will work toward more easily identifying and separating those who have been inoculated and those who have not. Individuals who refuse to receive the Ebola vaccination will face serious hurdles in gaining employment, visiting public places, obtaining future medical care, and even potential prison time. In a controversial move by the Catholic church, Pope Francis has come out in vocal support of RFID Chip technologies and the extraordinary potential they hold for mankind. 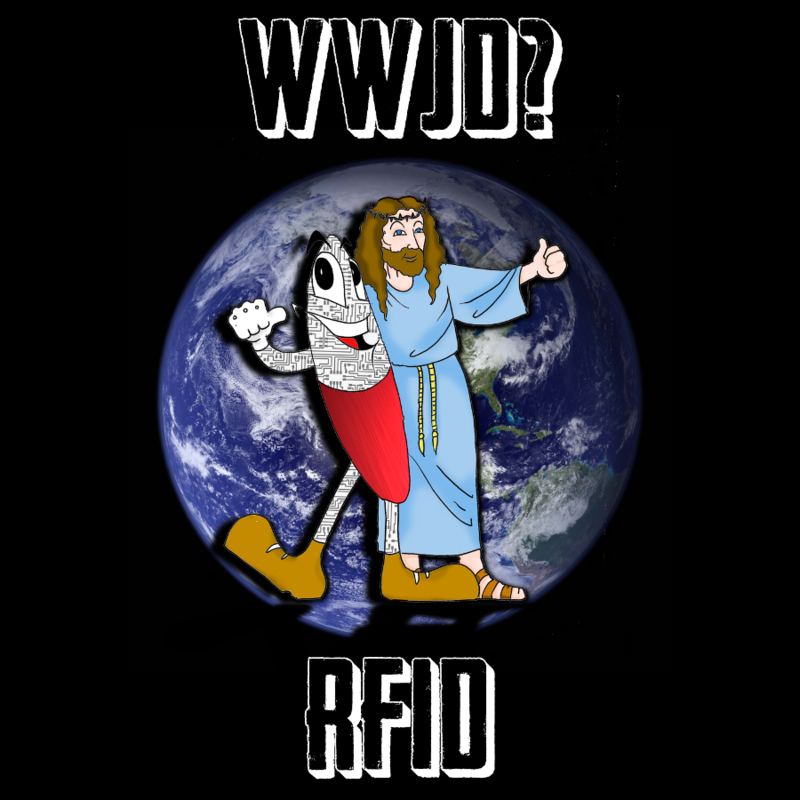 The outrage stems from a belief held by many Evangelicals, Fundamentalists and Catholics, that RFID implants are the Mark Of The Beast, spoken about in their Holy Book’s chapter regarding the end of the world. 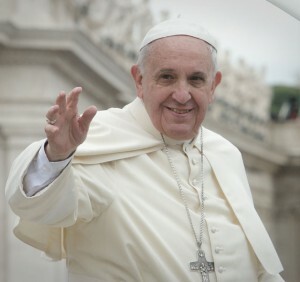 During the Pontiff’s weekly general address, he spoke to the crowd about his view on the RFID technology, and assured his many followers that no spiritual harm can come from receiving an RFID implant. He went onto urge his devotees to be open minded in this era where brilliant new technological advancements are being made everyday. 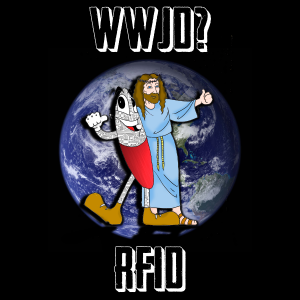 The Bishop of Rome explained to those in attendance his excitement over making RFID implantation a mandatory procedure for all employees and residents of the Vatican.